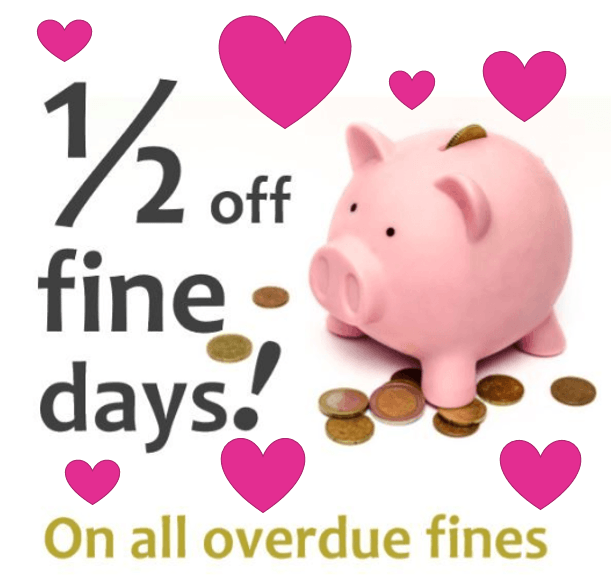 Valentine’s 1/2 Off Fine Days!!! In honor of Valentine’s Day, the Library is sharing some Library Love, and all overdue fines are 1/2 off starting today until next Friday!! !